Scones & Biscuits — Wildflour Gluten-Free Baking Co. Flavors change monthly. Most flavors available for special order by the dozen with discount pricing year round. We use freshly squeezed juice in the icing on all citrus-flavored scones. All scones are topped with an icing made from Organic & Corn-Free Powdered sugar. All products are dairy and soy free unless noted. Dried cranberries are soaked in orange juice for this scone which is topped with a bright citrus orange glaze. Tart dried Montmorency cherries are soaked in a both amaretto and orange juice in this subtly almond flavored scone, which is topped with a cherry tinted glaze spiked with amaretto. This scone combines the flavors of coffee, cream, and Irish whiskey flecked with dark chocolate. Topped with an Irish whiskey spiked glaze. The tropical flavors in this scone are inspired by sunny, Spring-break destinations. Sweet dried mango, pineapple & papaya are combined with coconut and passion fruit. Taken over the top with a coconut icing and garnished with toasted coconut. Pure passion fruit puree and cream accent fresh peaches in this scone iced with a passion fruit glaze. One of our most popular flavors! Fresh local Blueberries, Raspberries & Blackberries are accented with lemon with lemon to create a wonderful late summer scone flavor! Topped with a tangy lemon icing. A new flavor this year! Local fresh Blackberries are folded into our Buttery, flaky scone accented with a splash of rum, a hint of lime zest and a drizzle of a lime icing. Chunks of tart-sweet, local apples combine with cinnamon and a hint of nutmeg for a scone that captures the best flavors of early Autumn. Perfect for a crisp fall morning breakfast with a Hot Apple cider! A new flavor for us last year that developed an almost cult-like following. One of the few scone flavors we offer without any dairy! Organic pumpkin combines with tart dried cranberries, accented with a hint of orange, cinnamon, nutmeg & ginger in this magnificent flavor combination. This is a new flavor this year. We are combining organic dried mission figs that have been soaked in orange juice with chunks of 72% Belgian chocolate and a hint of orange zest for an amazing flavor combination. These scones are sprinkled with organic sugar and drizzled with a light orange icing. These are a must try - even if you don't think you like figs. We've already swayed many in our taste testing! A dairy-free scone! 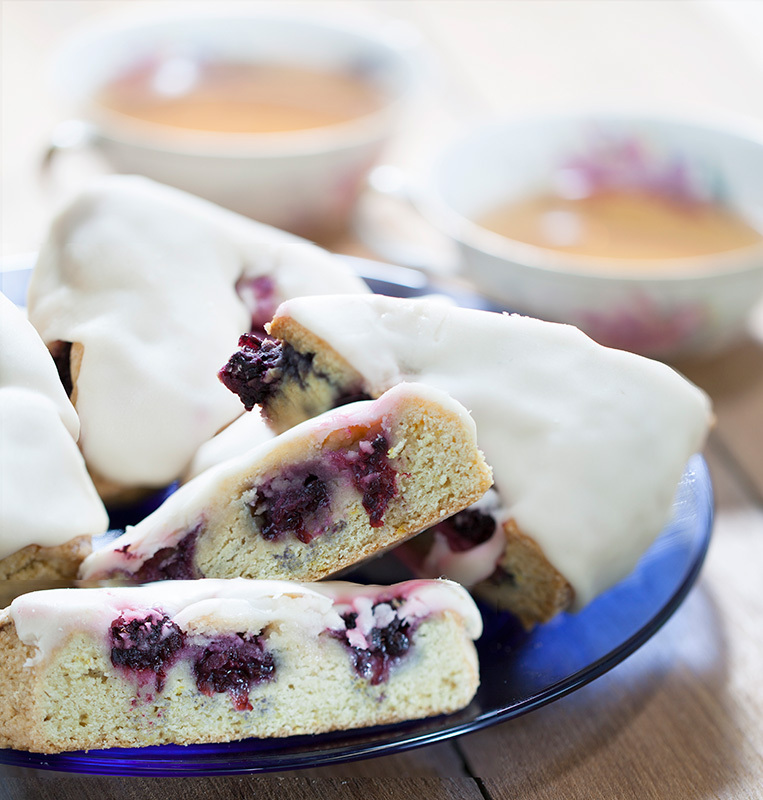 Fresh tart cranberries, contrast with a hint of rum & nutmeg in this eggnog glaze topped scone. Only available for a short time each year. The essence of the season's best flavors. Enjoy with an eggnog latte!